Icono parisino desde finales de los 80's, La Grande Epicerie es un exquisito establecimiento de 3.000 metros cuadrados y 30.000 productos gourmet donde se puede encontrar lo mejor de la gastronomía francesa e internacional. Su sección de AOVEs incluye más de medio centenar de referencias de todo el mundo -sobre todo de Francia, Toscana y Andalucía- cuidadosamente seleccionadas por un equipo de expertos encargado de encontrar los mejores productos -y productores- atendiendo a los más altos estándares de calidad. 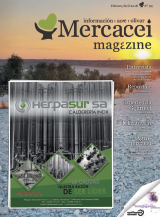 Publicamos un extracto del reportaje incluido en Mercacei Magazine 90. La Federación Española de Industrias de Alimentación y Bebidas (FIAB) organiza, con el apoyo del Ministerio de Agricultura, Pesca y Alimentación (MAPA) e ICEX y en colaboración de la Cámara de Comercio Española en Filipinas, una Misión de Exportadores al país asiático. Un total de 26 empresas españolas de alimentación, entre ellas de aceite de oliva virgen extra, participan en esta acción conjunta con el propósito de establecer contacto con los principales agentes de la distribución filipina para promocionar sus productos y captar compradores. Nos cuenta Carlo Cracco que a menudo escucha que el aceite de oliva virgen extra debe seguir el camino iniciado por el vino. Está más que acostumbrado a escuchar este tipo de afirmaciones de expertos en la materia. El mediático chef de Cracco (Milán, Italia) lleva desde 2011 promocionando la cocina mediterránea en las televisiones de todo el mundo. Jurado de MasterChef y Hell’s Kitchen Italia y presentador de Cracco Confidential, este cocinero multidisciplinar del Veneto conoce las aventuras y desventuras de la gente guapa de Milán (¡que no son pocas!). Se dice por ahí que Donatella celebra los éxitos de Versace en su reservado y que al príncipe Carlos de Inglaterra le alucina su carpaccio. Lo cierto es que no hay celebrity que no pase por Cracco durante la Milan Fashion Week, cuna de la moda a nivel mundial, y él les recibe una a una con su charme natural. Roma (29%), París (20%) y Nueva York (19%) son los mejores destinos gastronómicos para los españoles. Esa es la conclusión del informe Tasty Travels que ha elaborado Hoteles.com y que sitúa a Barcelona (18%) y San Sebastián (16%) como las únicas ciudades nacionales que se han hecho un hueco en los primeros puestos de la lista. Situada entre Aviñón y el valle norte del Luberon, al lado de Fontaine-de-Vaucluse, L’Isle-sur-la-Sorgue es una bonita localidad de apenas 20.000 habitantes dominada por el río Sorgue y atravesada por canales que asemeja un conjunto de diminutas islas. Entre hermosas tiendas de antigüedades que bordean los canales y atractivas ruedas de álabes que dotan a la ciudad de un particular encanto, se encuentra este establecimiento dedicado al virgen extra que protagoniza la sección Delicatessen de Mercacei Magazine 93. This is your last opportunity! Have you registered in the EVOOLEUM Packaging Awards? If you got the best EVOO on the inside and on the outside apply to the contest with the most exclusive jury in design, architecture and fashion. EVOOLEUM Award for Best Packaging, with the following sub-categories: Best Design EVOO Premium (gourmet section), Best Innovative Design and Best Design in Retail (oils intended for retail sale). In each of the three categories Gold, Silver and Bronze medals will be awarded. The best 100 EVOOs in the world, sorted according to their score in the competition, will be presented at the EVOOLEUM Guide WORLD'S TOP100 EXTRA VIRGIN OLIVE OILS 2017, published in English and Spanish, whose first edition is already distributed at major fairs and events in the olive sector, as well as gourmet and delicatessen stores, and among importers and distributors. 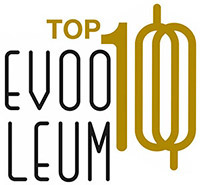 With its special features and strict procedures of valuation and classification of samples received EVOOLEUM WORLD’S TOP 100 is the most objective and rigorous international contest for the quality of extra virgin olive oils. In fact it is ranked as the third best competition in The World's Best Olive Oils' Ranking, only behind Mario Solinas Award and Ovibeja. No other international competition can boast having EVOOLEUM WORLD’S TOP 100’s tasting panel, comprised of the world’s most distinguished experts. In addition to its undeniable internationa projection, the EVOOLEUM app is available for smartphones and tablets, being compatible with iOS and Android opeative systems. Can you imagine being between them? Until February 28th 2017 individual producers, producer associations and production companies around the world can submit their EVOOs of the 2016/17 Campaign to participate in a Contest that will choose the best 100 extra virgin olive oils around the world. Japón, el quinto mercado internacional de mayor proyección para la industria alimentaria, abre nuevas oportunidades al sector del aceite de oliva en Supermarket Trade Show, la principal feria comercial en Asia, que se celebra desde mañana y hasta el 16 de febrero en Tokio. Hemos iniciado la época de oro de los cocineros. Bueno, de los chefs, que últimamente lo de cocinero es más para el del mesón de barrio y chef para el de portada del Men’s Health. Recién finalizado el congreso de alta gastronomía Madrid Fusión y otros internacionales como Olio Nuovo Days o la Winter Fancy Food, les siguen durante los próximos meses Olio Officina Festival, Extra Lucca, Gulfood, Salón de Gourmets, Alimentaria... Es el período de “festivaleo” del sector delicatessen, y el aceite de oliva virgen extra es, sin duda, cabeza de cartel de la mayoría de ellos. La percepción del aceite de oliva español es “buena” en Colombia, aunque los distribuidores en ese país consideran que son necesarias más acciones de merchandising como displays, someliers y publicidad en los puntos de venta, entre otras. After the success of the first two editions, Mercacei and AEMO have announced the third edition of the EVOOLEUM World’s TOP100 Extra Virgin Olive Oils International Competition. A unique contest endowed with the utmost rigor that recognizes each campaign the 100 best extra virgins in the world -as well as publish and disseminate its results through the exclusive EVOOLEUM World's TOP100 Extra Virgin Olive Oils Guide-, which in 2018 introduces new features. The deadline for registration and receipt of samples will remain open until February 20th, 2018. Due to its special characteristics and strict procedure for evaluating and classifying the samples received -the rules can be consulted in the renovated website www.evooleum.com-, EVOOLEUM is presented as the most objective, rigorous and reliable international competition for the quality of extra virgin olive oil. And not only that: no other international contest can boast of having the EVOOLEUM Tasting Panel, probably the best group of tasters ever assembled before, made up of the most prestigious international experts. A jury that, like the contest itself, finds excellence in its raison d'être, without forgetting another factor of special importance: the organoleptic evaluation of the EVOOs submitted to the contest is done following the modified -and improved- evaluation sheet of the International Olive Council, undoubtedly the great reference worldwide. As novelties in this 2018 edition, a new category is incorporated into the awards: Best Southern Hemisphere and Best Northern Hemisphere. 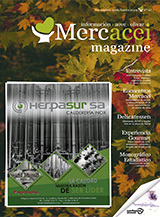 But apart from that, the contest will offer an extra service: all the EVOOs selected in the TOP100 will be analyzed by the Chemistry Department of the University of Cordoba in order to determine the content of total polyphenols, as well as each type of polyphenol (Oleuropein, Oleocanthal, Hydroxytyrosol, Tyrosol, etc. ), with an official certificate that will be sent to each of the members of this exclusive ranking. Until next February 20th, individual producers, associations of producers and extra virgin companies from around the world can register and send their EVOOs of the current campaign to participate in this contest, which has an attractive and updated website with Spanish and English versions: www.evooleum.com. In it, all interested parties can find detailed information about the competition and the rules of the contest, as well as the registration form and the composition of the Tasting Panel. Aimed at consumers around the world and lovers of gastronomy, the EVOOLEUM Guide of the 100 Best Extra Virgin Olive Oils in the world according to the score obtained at the EVOOLEUM Awards, the International Awards for the Quality of Extra Virgin Olive Oil, includes a complete information sheet of each of the extra virgins that make up the TOP100 followed by an image of the bottle and a detailed tasting note describing the organoleptic characteristics of the juice and the foods with which it pairs. Published annually in English and Spanish, it is a pioneering publication of impeccable aesthetics and modern and cosmopolitan design -result of the creative work of the prestigious Cabello x Mure studio- made by the most important publishing group in the world specialized in the olive and olive oil sectors, Mercacei-Edimarket Editores, which has more than two decades of successful experience and a score of awards granted by different institutions, organizations and associations related to the olive oil, olive and table olive sector, among them the Premio Alimentos de España a la Comunicación, awarded by the Ministry of Agriculture and Fisheries, Food and Environment (Mapama), or the Internationalization Award of the Spanish Association of Periodical Publication Publishers (AEEPP). Reviewed by the most important media, the EVOOLEUM World's TOP100 Extra Virgin Olive Oils Guide is distributed in the main events, competitions and international fairs of the olive and gastronomic sector, as well as in gourmet establishments and delicatessen stores, Horeca channel and restaurants with stars Michelin, thematic and Mediterranean cuisine, being the only publication of these characteristics that can also be found in bookstores and large surfaces, resorts and oil tourism establishments, gastronomic associations and cooking schools. In addition, the EVOOLEUM Guide is distributed among the main importers, agents and marketers of EVOO worldwide, which guarantees its full visibility and international projection, and it even has its own app, available for iPhone and Android. If you want to register your EVOO brand click here. Una abundante representación de empresas provenientes del sector oleícola promocionaron sus productos más Premium ante los principales compradores estadounidenses del sector en la feria Summer Fancy Food Show de Estados Unidos, que se ha celebrado en el Jacob K. Javits Convention Center de Nueva York desde el pasado día 30 de junio hasta ayer, 2 de julio. El Grupo Editorial Mercacei -con estand propio- tuvo una destacada presencia en el evento. Have you read Olivatessen by Mercacei #5? Has leído ya Olivatessen by Mercacei #5? The best Extra Virgin Olive Oil brands in just one click. Las mejores marcas de aceite de oliva virgen extra del mundo a sólo un click. 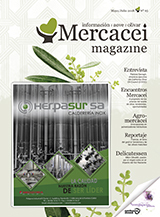 An original and modern annual publication in English, with a print-run of 15.000 copies, dedicated exclusively to the promotion of EVOO culture, gastronomy and the Mediterranean Diet, as it shines a spotlight on its key players. • How Do We Achieve It? With eye-catching and evocative articles which will help broaden awareness about extra virgin olive oil and encourage its consumption. By contributing to making EVOO an “It” product by way of a fresh and elegant design and a creative layout, linking this product to a healthy and sustainable lifestyle. Con reportajes atractivos y evocadores que fomentan el conocimiento y el consumo del virgen extra. Poniendo de moda el AOVE y asociándolo a un estilo de vida placentero y sostenible. Mediante un diseño y una maquetación frescos y elegantes. • Where Can I Find It? At Olivatessen’s booth in food-fairs such as: Foodex (Japan), Summer and Winter Fancy Food Shows (New York and San Francisco), SOL (Verona), Olio Officina Festival (Milan), Alimentaria (Barcelona), Madrid Fusion (Madrid)... You will also find it at gourmet shops in main cities throughout Europe, Asia, North and South America; theme, Mediterranean and Michelin Star restaurants; distributed amongst brokers, distributors and traders of olive oil worldwide; the Horeca Channel; high-end international stores such as Harrods and Galleries Lafayette; resorts and boutique hotels; culinary organizations and cooking schools; as well as reaching the final consumer. 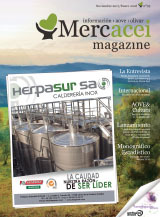 Its on-line version will be available at www.olivatessen.com and www.mercacei.com (boasting 1.600.000 monthly page views). En el stand propio de Olivatessen en Foodex (Japón), Summer y Winter Fancy Food Shows (Nueva York y San Francisco), SOL (Verona), Olio Officina Festival (Milán), Alimentaria (Barcelona), Madrid Fusión (Madrid)... Además, la encontrarás en tiendas gourmet y delicatessen de las capitales de Europa, Asia y América; restaurantes con estrellas Michelin, temáticos y de cocina mediterránea; la reciben todos los brokers, comercializadores y distribuidores a nivel mundial; el canal Horeca; grandes almacenes internacionales como Harrods o Galerías Lafayette; resorts y establecimientos dedicados al oleoturismo; asociaciones gastronómicas y escuelas de cocina; así como el consumidor final. Su versión digital se encuentra disponible en www.olivatessen.com y www.mercacei.com (1600.000 de páginas vistas al mes). For further information, contact with us clicking here. Para más información, contáctanos pinchando aquí. La Federación Española de Industrias de la Alimentación y Bebidas (FIAB) organizará el Pabellón Español en la Winter Fancy Food 2019, que tendrá lugar en San Francisco (Estados Unidos) del 13 al 15 de enero. Según los últimos datos del ICEX, el consumo per cápita de aceite de oliva en Australia se ha duplicado en los últimos años, mientras que en Nueva Zelanda se ha puesto de moda gracias a la difusión de sus efectos saludables y al aumento de la renta disponible de los hogares. 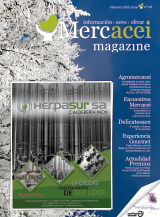 Los AOVEs de calidad y con un packaging atractivo tienen muchas posibilidades de triunfar en dos mercados con elevadas previsiones de crecimiento. Todavía en fase de prototipo, la máquina Olive X-Press utiliza una prensa en frío para convertir tres kilos de aceitunas en medio litro de aceite de oliva virgen extra en unos 45 minutos. El proyecto, impulsado por la plataforma de inversión israelí ExitValley, pretende obtener beneficios a través de dos vías: con la venta de este innovador “robot” de cocina y con un servicio de suscripción para que los usuarios reciban las aceitunas frescas en su propio domicilio. La propuesta de Aceites de Oliva de España para el Salón Internacional del Club de Gourmets 2018 lleva por título “Todo un mundo por descubrir” e invita desde ayer al visitante a diferentes workshops experienciales y una oleoteca compuesta por 300 referencias. Un total de 1.603 expositores han presentado en la feria delicatessen más importante de Europa más de 40.000 productos y 1.300 novedades. Perché dovresti inserire il tuo EVO nel contesto internazionale di EVOOLEUM? Al concorso EVOOLEUM si sono già iscritti numerosi EVOO italiani che aspirano ad essere tra i migliori 100 del mondo. Sei già uno di loro? I 100 migliori EVO del mondo, classificati in base al punteggio ottenuto al concorso, saranno presentati in EVOOLEUM Guide WORLD'S TOP100 EXTRA VIRGIN OLIVE OILS 2017, pubblicata in inglese e spagnolo, la cui prima edizione è già in distribuzione nelle principali fiere ed eventi del settore dell’olio extravergine, così come nei negozi gourmet e delicatessen, e tra importatori e distributori. Le rigorose procedure di valutazione e classificazione dei campioni ricevuti fanno di EVOOLEUM WORLD’S TOP 100 un concorso internazionale altamente rigoroso ed obiettivo. Di fatto è classificato come il terzo miglior concorso per gli oli extravergini di oliva a livello internazionale dopo i concorsi Mario Solinas e Ovibeja. Nessun altro concorso internazionale conta con un panel di degustazione come quello di EVOOLEUM WORLD’S TOP 100, composto dai migliori esperti a livello mondiale. Oltre all’innegabile proiezione internazionale, EVOOLEUM è attenta anche alle nuove tecnologie. EVOOLEUM app è disponibile per smartphone e tablet, compatibili con i sistemi operativi iOS e Android. Puoi immaginare cosa significa essere tra i TOP 100? Fino al 28 febbraio i singoli produttori, le associazioni di produttori e le aziende produttrici di tutto il mondo potranno presentare i loro EVO della campagna 2016/17 per partecipare al concorso che sceglierà i 100 migliori oli extravergini d’oliva del mondo. 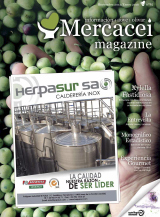 Tras el éxito de las dos primeras ediciones, Mercacei y AEMO han convocado la tercera edición del Concurso Internacional EVOOLEUM World’s TOP100 Extra Virgin Olive Oils. Una competición única dotada de la mayor rigurosidad que reconoce cada campaña a los 100 mejores vírgenes extra del mundo -publicados y difundidos en la exclusiva Guía EVOOLEUM World’s TOP100 Extra Virgin Olive Oils-, y que en 2018 presenta interesantes novedades. El plazo de inscripción y recepción de muestras se cerrará el 20 de febrero de 2018. París ultima los preparativos de Olio Nuovo Days, la primera gran cita gastronómica del año para descubrir el aceite de oliva virgen extra más fresco en restaurantes, panaderías y otros centros gastronómicos de la capital francesa, que se celebrará entre el 16 y el 20 de enero. Por sus especiales características y estricto procedimiento de valoración y clasificación de las muestras recibidas -las bases se pueden consultar en la renovada web www.evooleum.com-, EVOOLEUM se presenta como el más objetivo, riguroso y fiable concurso internacional a la calidad de los aceites de oliva vírgenes extra. Y no sólo eso: ningún otro concurso internacional puede presumir de contar con el Panel de Cata de EVOOLEUM, probablemente el mejor grupo de catadores nunca antes reunido, conformado por los más prestigiosos expertos a nivel internacional. Un jurado que, al igual que el propio certamen, encuentra en la excelencia su razón de ser, sin olvidar otro dato de especial importancia: la valoración organoléptica de los AOVEs presentados a concurso se realiza siguiendo la hoja de valoración modificada -y mejorada- del Consejo Oleícola Internacional, sin duda la gran referencia a nivel mundial. Como novedades en esta edición 2018, se incorpora una nueva categoría de premios, Mejor Hemisferio Sur y Mejor Hemisferio Norte, y el concurso ofrecerá un servicio extra: todos los AOVEs seleccionados en el TOP100 serán analizados por el Departamento de Química de la Universidad de Córdoba con el fin de determinar el contenido de polifenoles totales, así como de cada tipo de polifenol (Oleuropeina, Oleocanthal, Hidroxitirosol, Tirosol, etc. ), con un certificado oficial que será enviado a cada uno de los integrantes de este exclusivo ranking. Hasta el próximo 20 de febrero los productores individuales, asociaciones de productores y empresas elaboradoras de virgen extra de todo el mundo podrán inscribirse y enviar sus AOVEs de la campaña en curso para participar en el concurso, que cuenta con una atractiva y actualizada web propia con versiones en español e inglés, www.evooleum.com. En ella los interesados podrán encontrar información detallada sobre la competición y las bases del concurso, así como la ficha de inscripción y la composición del Panel de Cata. Dirigida a los consumidores de todo el mundo y a los amantes de la gastronomía, la Guía EVOOLEUM de los 100 Mejores Aceites de Oliva Vírgenes Extra del mundo según la puntuación obtenida en los EVOOLEUM Awards, los Premios Internacionales a la Calidad del Aceite de Oliva Virgen Extra, incluye una completa ficha informativa de cada uno de los vírgenes extra que componen el TOP100 acompañada de una imagen de la botella y una detallada nota de cata donde se describen las características organolépticas del zumo y los alimentos con los que marida. Editada en inglés y castellano, y de periodicidad anual, se trata de una publicación pionera de estética impecable y diseño moderno y cosmopolita -obra del prestigioso estudio Cabello x Mure- realizada por el más importante grupo editorial del mundo especializado en el sector del olivar y el aceite de oliva, Mercacei-Edimarket Editores, que cuenta con más de dos décadas de exitosa trayectoria y una veintena de galardones otorgados por diferentes instituciones, organismos y asociaciones relacionadas con el sector del aceite de oliva, el olivar y la aceituna de mesa, entre ellos el Premio Alimentos de España de Comunicación, otorgado por el Ministerio de Agricultura y Pesca, Alimentación y Medio Ambiente (Mapama), o el Premio a la Internacionalización de la Asociación Española de Editoriales de Publicaciones Periódicas (AEEPP). Si quieres inscribir tu marca de AOVE, pincha aquí.